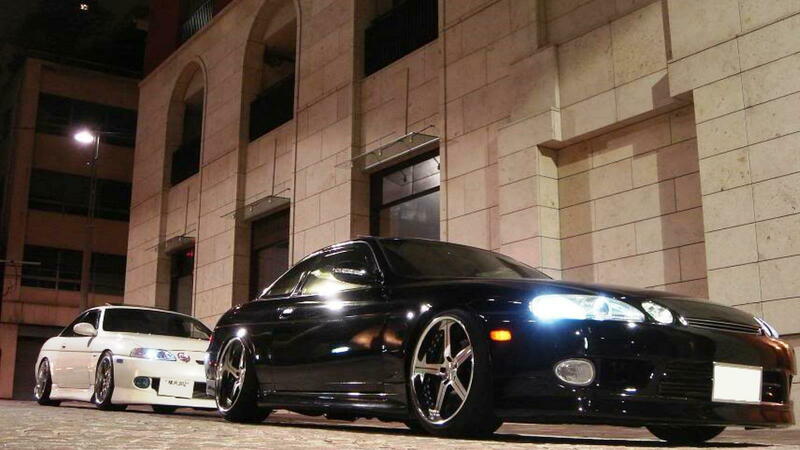 Daily Slideshow: No early Lexus models endear more passion than the SC300 and SC400 luxury sport coupes. Golden era Japanese automotive all day long. TeeLex's 1JZ-GTE 1995 SC is just awesome. The classic coupe wears a beautiful coat of Barcelona Red 3R3 paint and an Auto Couture bodykit. Every power concern anyone could have for the OEM SC models get thrown out of the door once you see that this car is putting out 1,050 rear wheel horsepower through a 5-speed R154 transmission swap. To regulate the power on tap are a GReddy turbo timer and boost controller. The suspension consists of Zeal Function XS coilovers, Daizen sways and new front OEM upper and lower control arms. 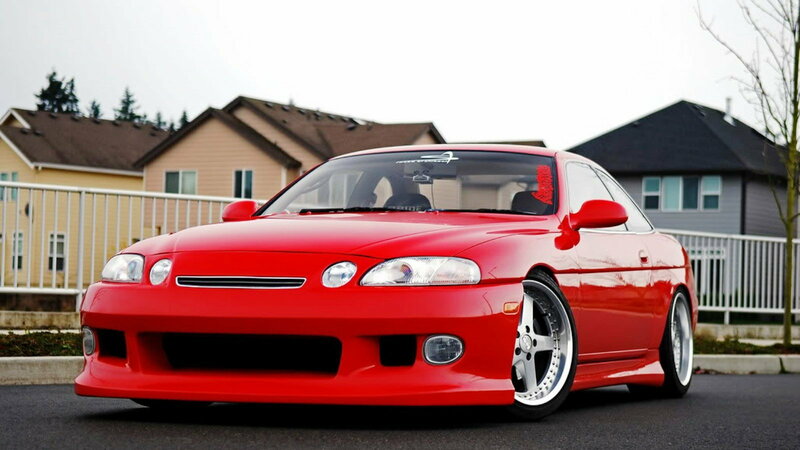 Lowered, wide, plus-sized wheels, tasteful body kit, exhaust, this SC has a lot going for it. Without getting too far out there, this luxury coupe is really showing its style and sportiness. 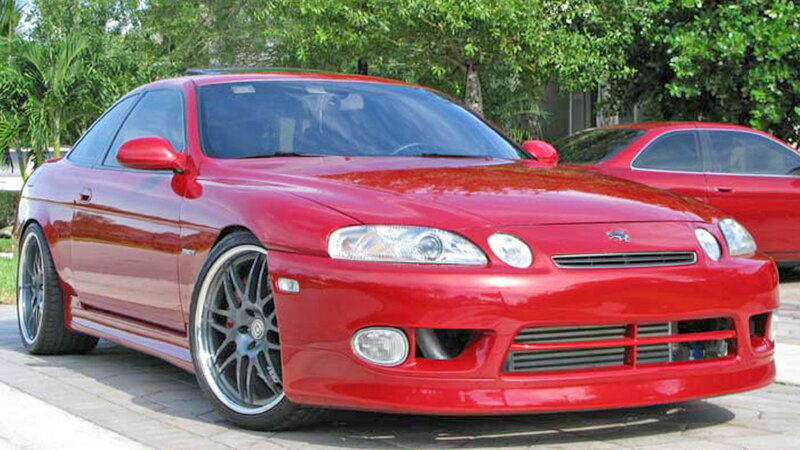 You have to wonder if this one has gotten a turbo Supra motor in it, or just the stock Lexus V8. 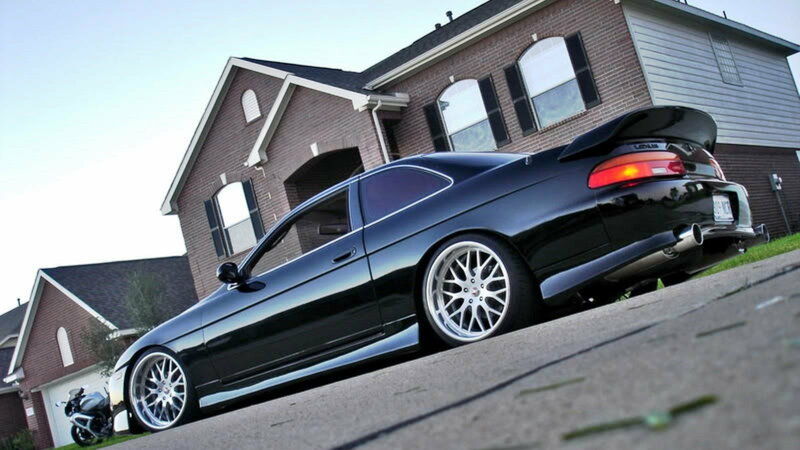 >>Join the conversation about Awesome Modified SC300/400 Coupes right here in the Club Lexus Forum! 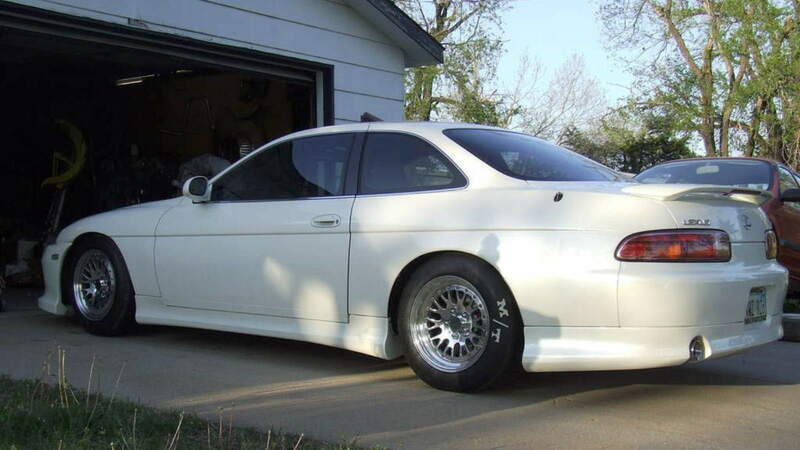 This car is seriously slammed, on about the largest rims you can get under a Soarer, but that body kit is bodacious. There is no doubt about how serious this guy took getting low, but you have to wonder if any of the luscious Lexus ride quality is left. 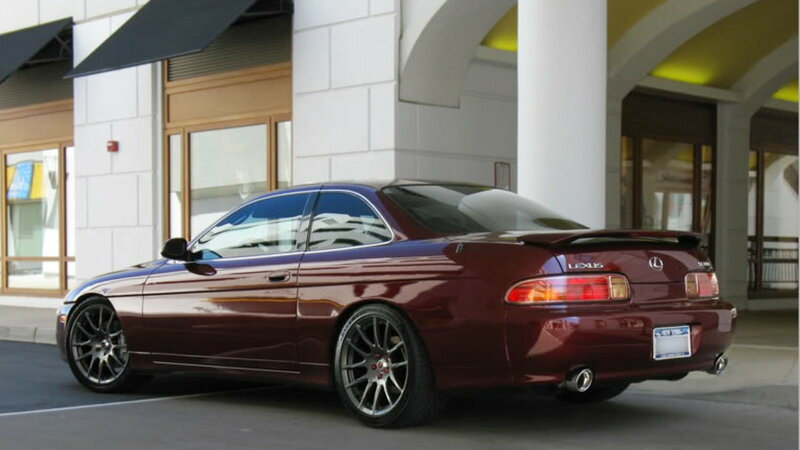 Not quite as extreme as the first or second example, this deep red SC300 has been mildly lowered then had a set of very tasteful wheels installed. Anthracite gray wheels, with anodized red lugs, aren't ridiculously sized to ruin the ride, but look great. Your mom wouldn't even have a problem with Lexus since it retains all of its luxury touches. The body kit on this car is subtle, but the tiny spoiler, short side skirts and front fender details really work well. Black cars have a habit of showing any flaw in the lines and design, and you can see on this one that Lexus didn't make any mistakes. The wheels are a bit big, and this is fairly low, but it looks like they stopped just short of ruining the ride and handling. This car is so clean and perfect it seems impossible that it is someone's dedicated drag racer, yet there are a set of Mickey Thompson Drag Radials on it. Oddly enough, the wheel and tire package doesn't look all that bad on this car, and it probably has a great ride. Perhaps these wheels and tires were just borrowed for a weekend of testing and tuning? This car is not playing. Just look at the size of those slicks under the rear fenders! 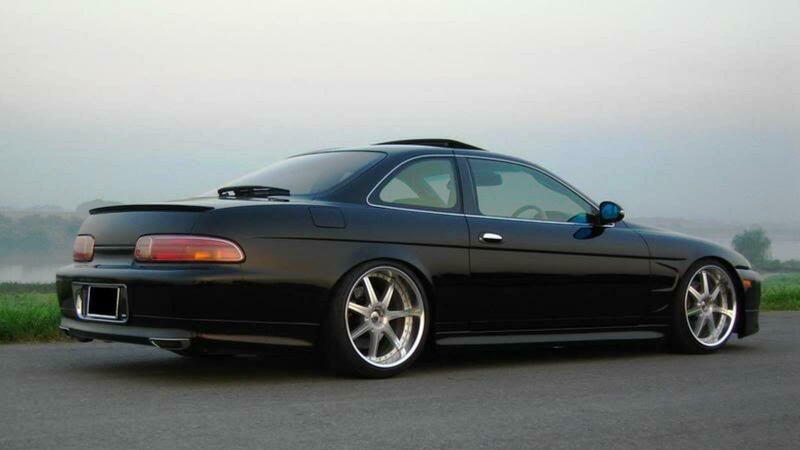 Chances are this SC300 is powered by a ridiculously powerful boosted Supra motor with close to four-digit horsepower numbers. 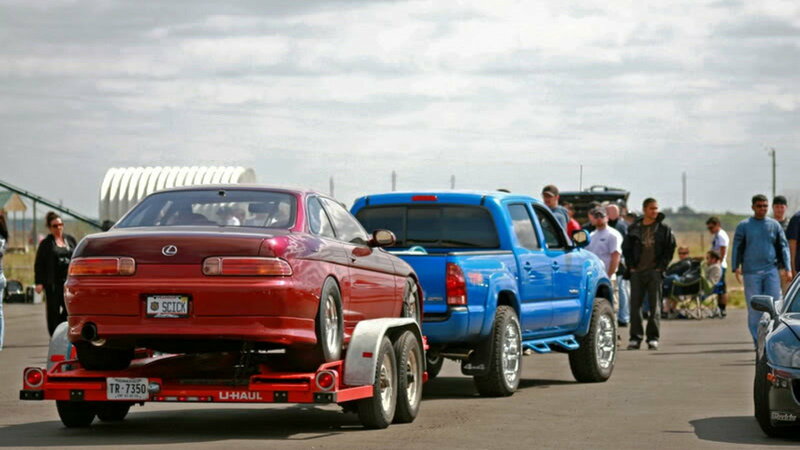 You wouldn't think a Lexus would be a great drag car, but they are. Which of these do you prefer? The black one has larger wheels, and more camber to fit them. The white one has a much more extensive body kit that makes it look lower, though it has more wheel travel. My choice would be the white one, though I prefer the style of wheels on the black one. This is a clean car, with a great body kit on it, classic five-spoke wheels and a drop job that stops just before getting impractical. The bright red may not be to everyone's taste, but if there is a turbo JZ motor under that hood, red hot paint is a perfect choice. Check out the how-to section of ClubLexus.com to keep your car running right.